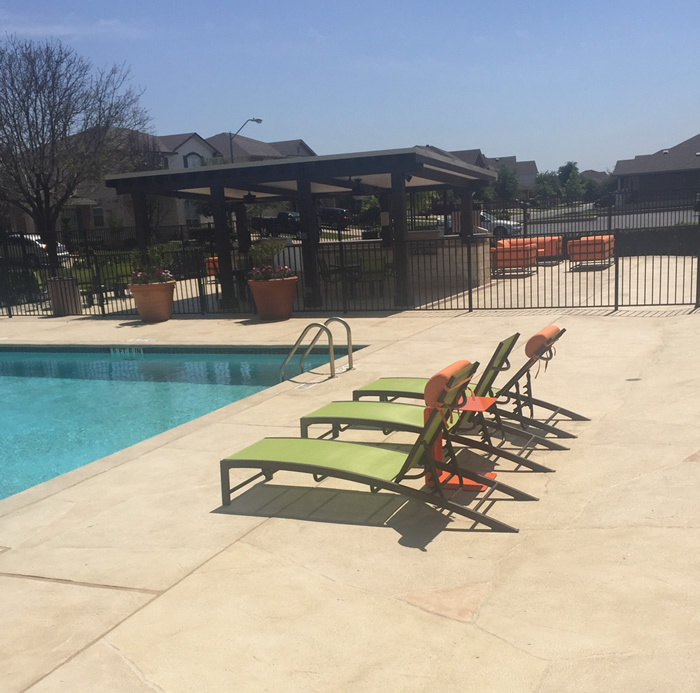 We know that running a business is hectic, stressful, and takes up more than enough of your time every day of the week. 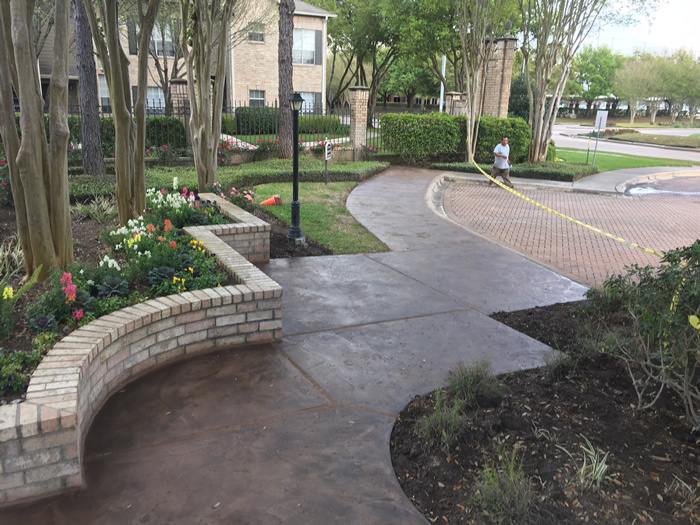 We also know that the professionalism of your company is, in part, due to its aesthetic decisions, whether it be your building’s exterior, walls, floors, or even its driveway, customers and employees are always judging a book by its cover. 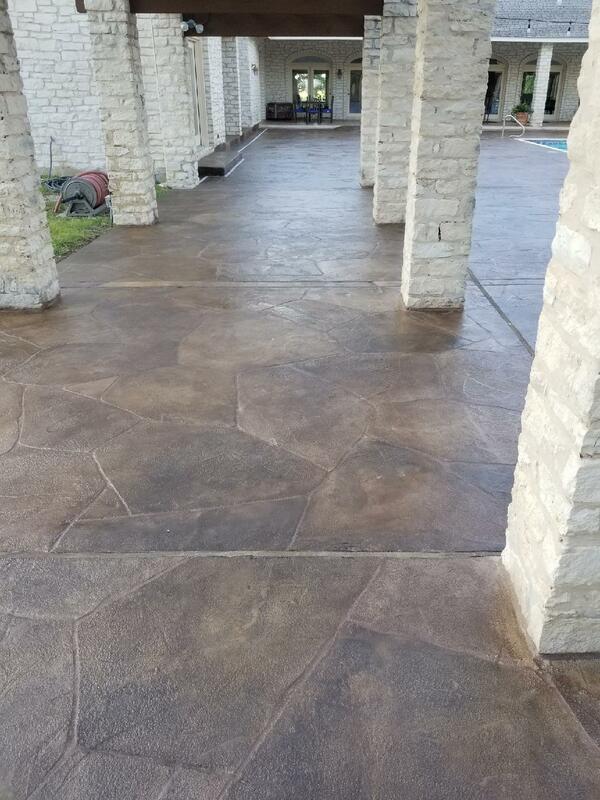 As a business ourselves, Texas Premier Coat Resurfacing wants to lend a hand in nourishing your commercial enterprise and the air of professionalism you wish to share with the world. 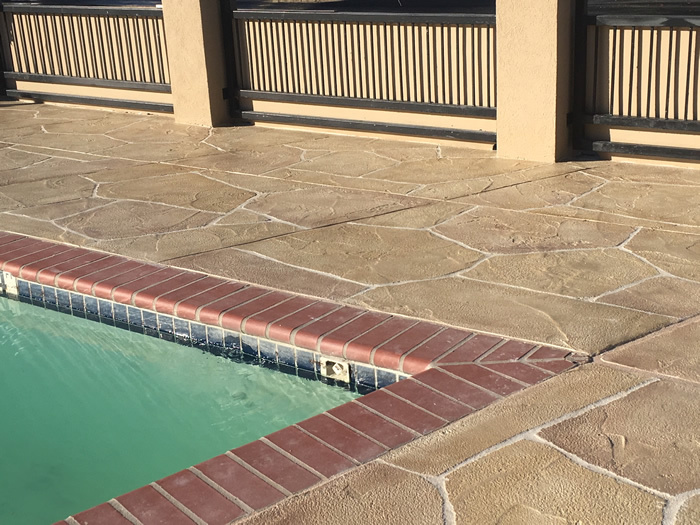 We’re providing years of experience in services, such as concrete overlays, epoxy garage floor coating, concrete staining, decorative driveways, and more. 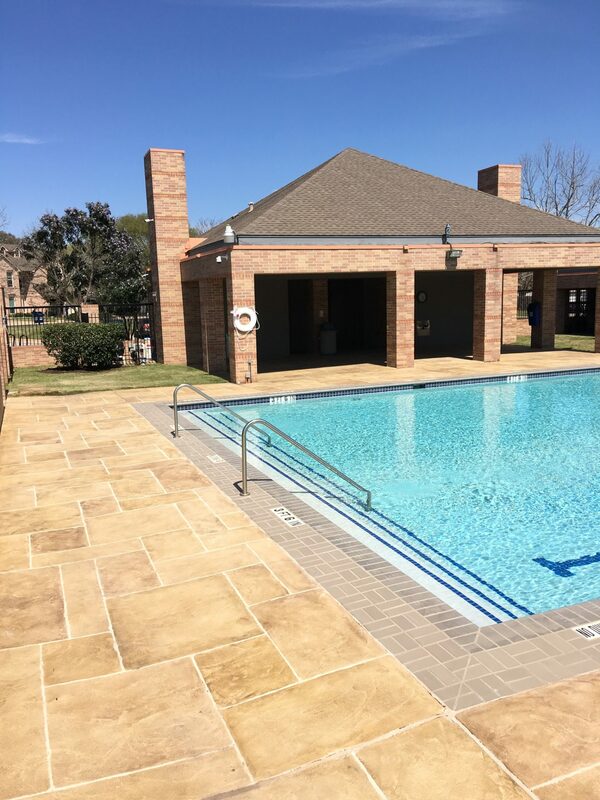 You might be a well-respected fountainhead of your industry, or you may be just starting out; either way, we’re here to raise your company’s visual appeal to the next level. 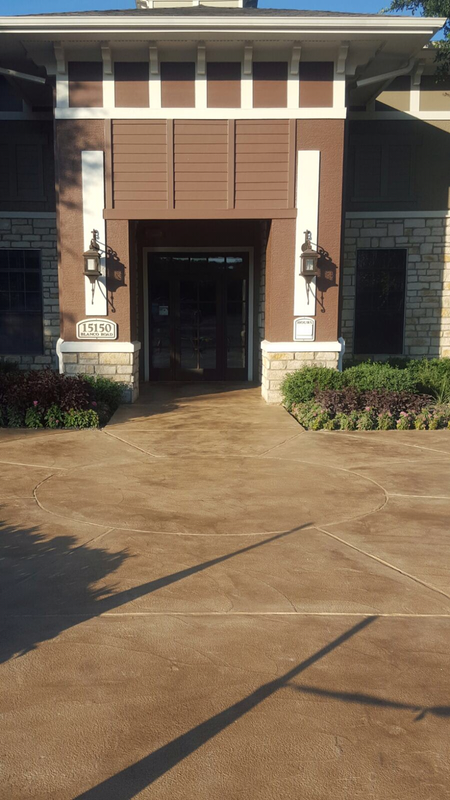 It’s safe to say you want to greet your clients with pride, to make sure your office reflects the dedication put forth in all aspects of the business at hand. 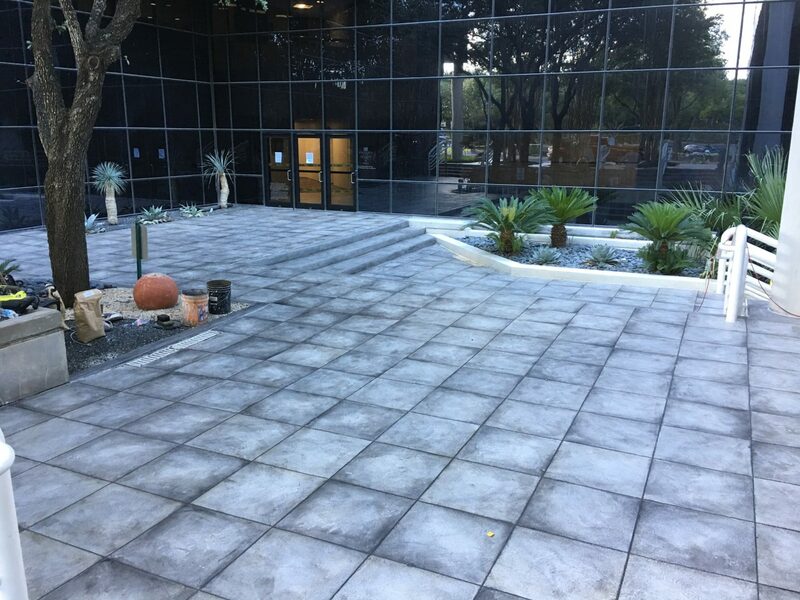 In Austin, TX, no one knows concrete overlays as we do, and we believe a properly installed decorative overlay for your vertical surface or floor is the perfect way to enhance the professionalism of any office. 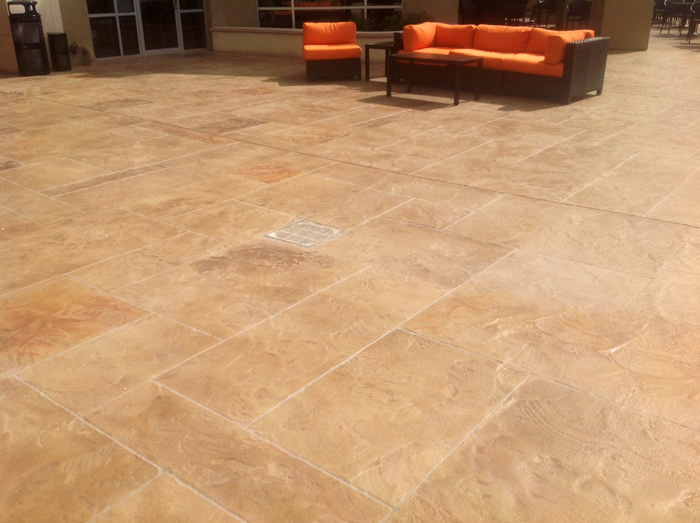 Mimic materials for all styles and situations, like natural stone, wood grain, leather, tile, slate, and more. 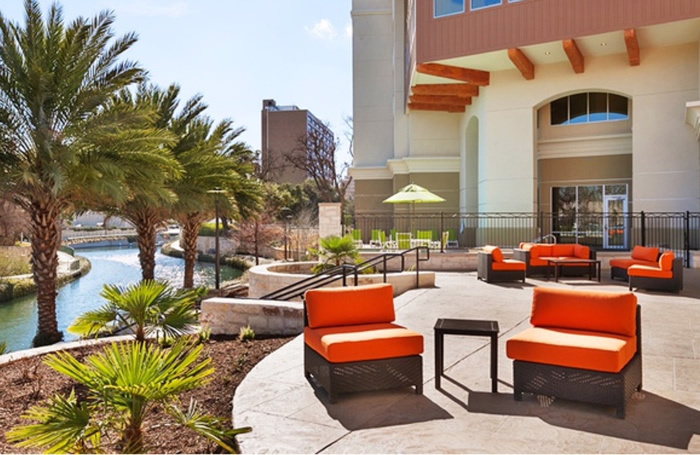 Whatever tone you’re looking for in your office environment, we provide it. Your business is unique in its service, so why shouldn’t it be unique in its style? 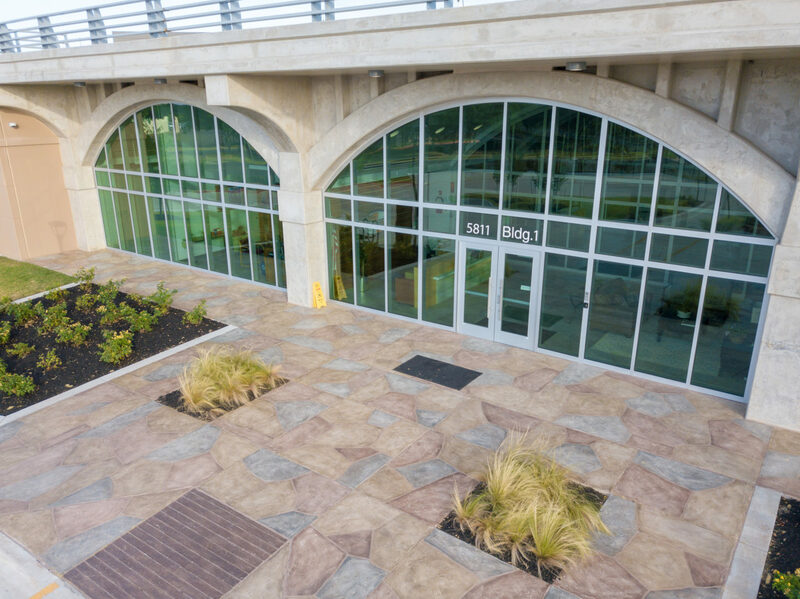 You won’t be there when your client or customer drives up to your place of business, meaning the building itself is going to have to do the talking for you. 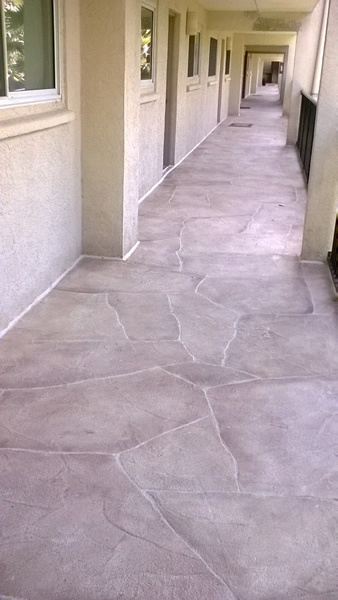 Put your best foot forward and make sure that what they first see when they stroll up to the doors impresses them. 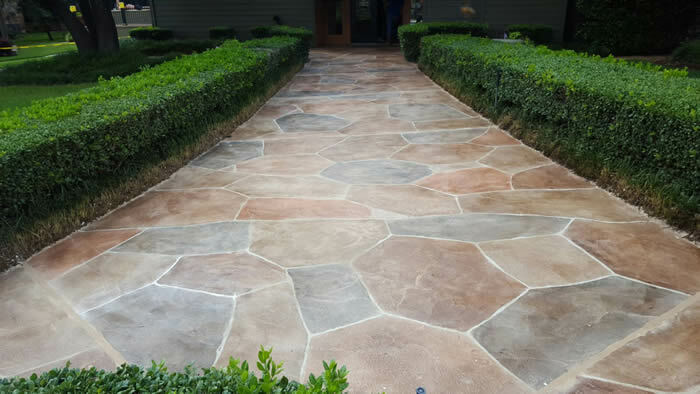 That means repairing the dull, cracked, or chipped driveway in the front and improving its style to match that of your business. 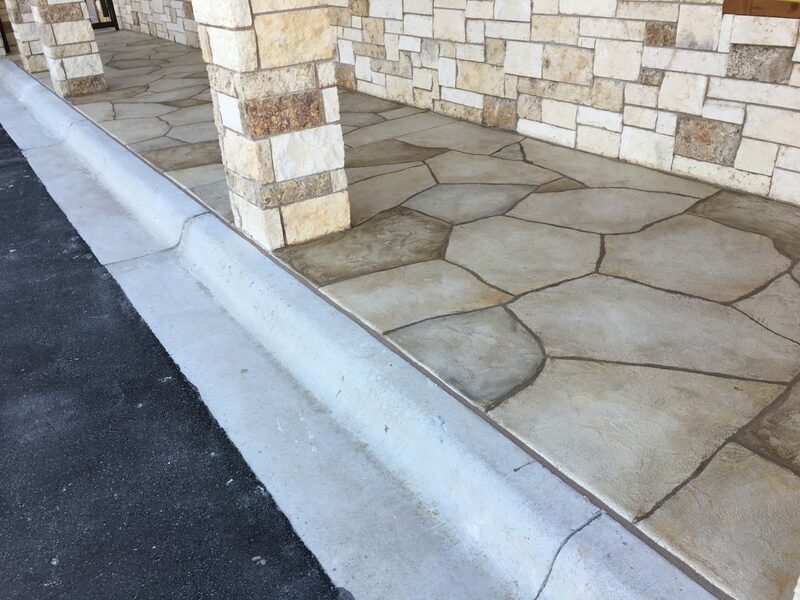 We use tough sealant materials like stone, concrete, and quartz, but stylized to impress; so, no matter how much foot-traffic you get, you won’t have to worry about scratches and breaks. 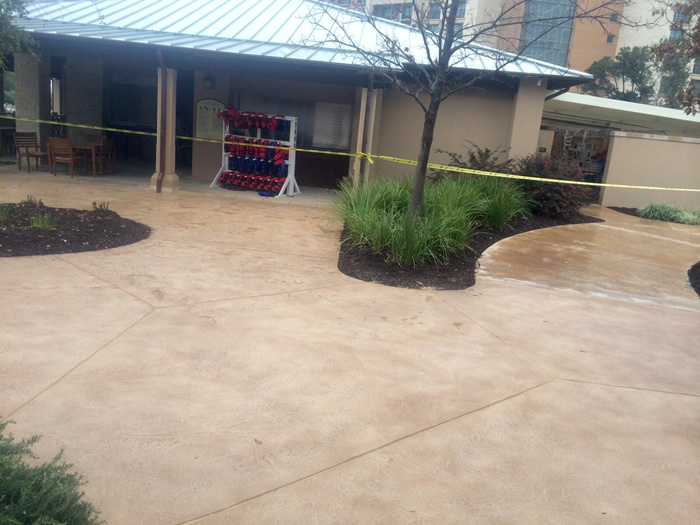 If you have an outdoor patio for your employees to relax on during their lunch breaks, or perhaps as a waiting area for customers, we also provide thorough patio resurfacing for attractive finishes. 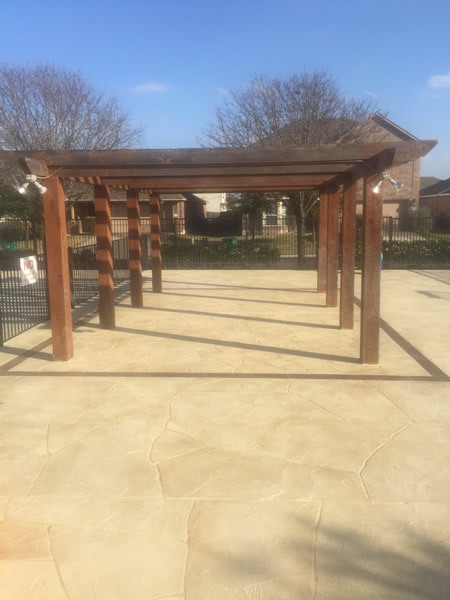 Allow us to help you build a patio that’s comfortable, stunning, and set to last for years to come. 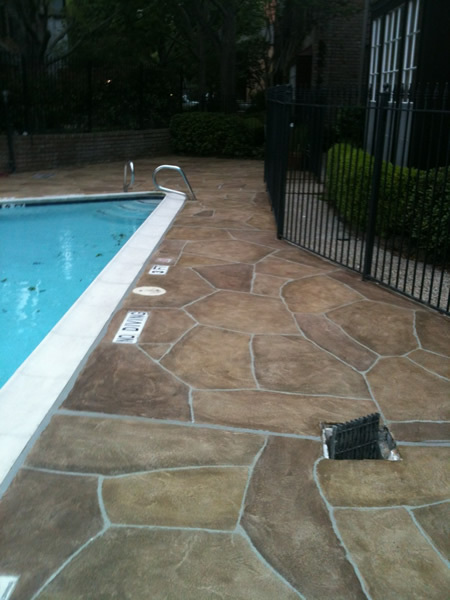 Concrete staining brings a whole new level of richness to any commercial business. 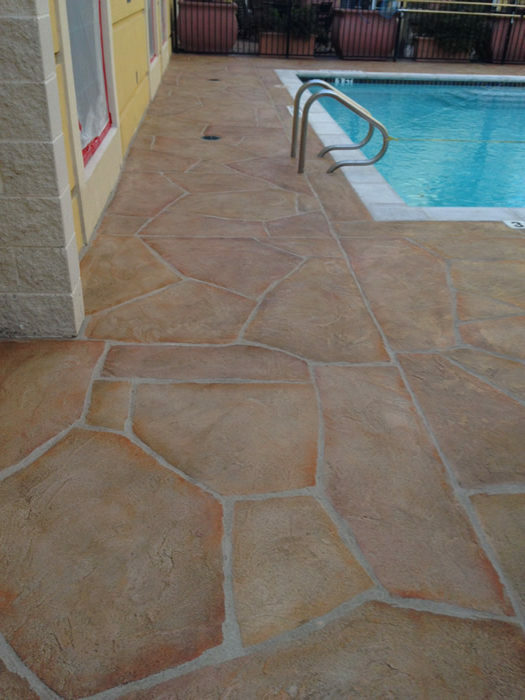 Saturate your floors with luxurious hues of gold, brown, blue, black, and more. 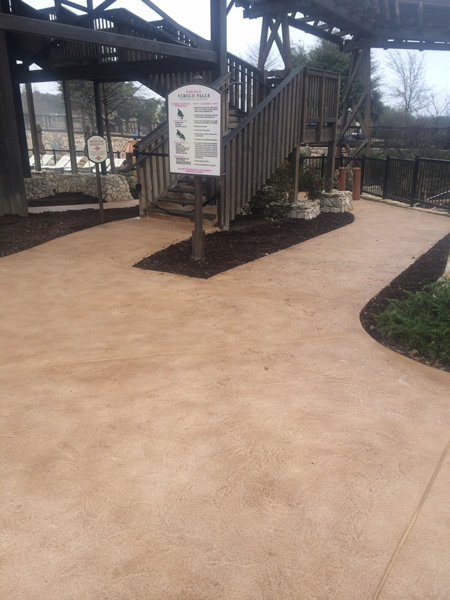 Not only will staining bring out the best in your concrete floors, but their renowned durability ensures that, no matter if you’re in manufacturing, distribution, or retail, these beautiful floors are here to stay, damage free. 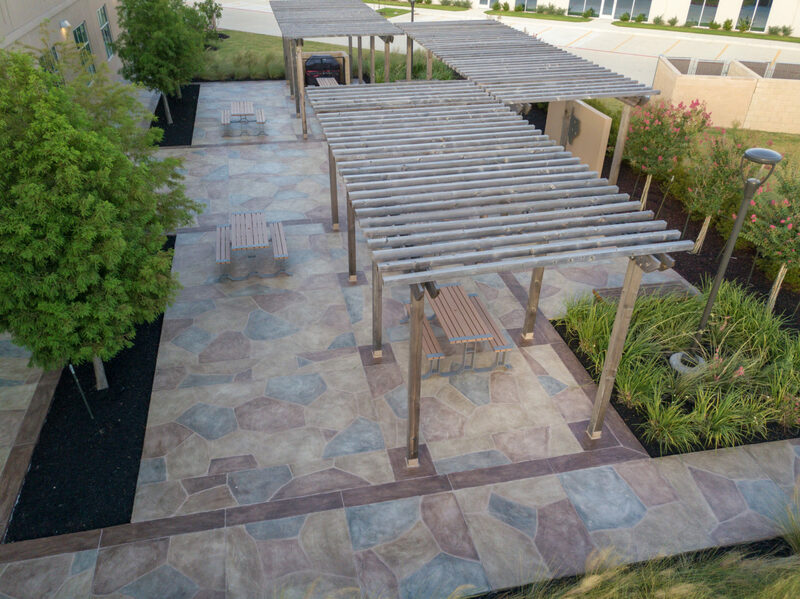 Call (512) 461-4836 to find out more about our commercial concrete services.